Alan Razak Alan Razak ialah seorang peguam. When a lawyer fails to contain his emotions in the courtroom, he puts justice at stake. IN my admittedly very limited experience in legal practice where a litany of shocking scenes is no stranger to me, a day in court earlier this week somewhat takes the biscuit. A child witness who had complained of sexual assault and whom I had therefore had to cross-examine in defence of my client accused of such, in which he unequivocally denied, burst into uncontrollable tears. A poor weeping soul was left to his own devices in the witness box, visibly in hopes of an immediate end to that too gruesome a session led by me who at the time had only one thing in mind – a mere intention to discharge of my barristerial duty as a lawyer who answers to the law as it stands through the strict agency of stipulated due process. Surely, this sad spectacle if viewed from an otherwise monotonous lengthy legal process in the courtroom, would with great immediacy lead the emotionally charged spectators to conveniently believe in my client’s devilry. Perhaps it bears repeating that in the prosecutorial pursuit of one's conviction in court, the legal burden to prove one's state of guilt lies not in the shoulder of the accused person. Rather, it does heavily in the prosecution itself with a high level of legal threshold beyond a reasonable doubt. The presiding judge in performing his judicial function must only confine himself to determining the plausibility of the case presented by each opposing counsel purely on the basis of evidentiary merits, bearing in mind that a judge sitting on an august bench is ultimately an emissary of justice whose duty must be dispensed with through law and law alone. The law therefore dictates that in the event of concrete evidence sought by a party against another to substantiate his claim or complaint for it to be adjudicated before the court, which the judges at the conclusion of the trial holds it to be insufficient or lacking in either merits or substance, a conviction absent of such fundamental element if so secured shall inevitably render it unsafe and capable of potential overturn at appeal due to this gross error of law. The law also dictates that in cases of doubt, the benefit thereof must always go to the accused person. Therein lies one's conflicting view on justice. While justice is the outcome one so passionately seeks, it should not and more importantly, cannot be realised through a medium other than the law howsoever the law may seemingly look ruthless in the eyes of a particular individual. A devil's advocate might argue that the true purpose and purport of justice can be gravely compromised, much less tainted by mere misfortune of lacking technical evidence needed in strict proof of a charge at the expense of an actually grieving victim. In answer thereto, we all could do well to remember and keep our faith intact in the professional mettle of all stakeholders, especially the judiciary who never stops at anything to safeguard itself against any attempts to disarm it. In so pursuing, a practitioner of law must without fail offer his noble assistance by indispensably striving to set aside his naturally formed bias, having had a constant opportunity of access to all evidence in support of his client. As a lawyer, one should constantly remind himself that at all times is he not only answerable to his client, but his major responsibility is in fact equally halved to the task of upholding the sanctity of the letters of the law despite the seeming banality of it all. 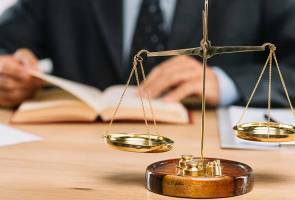 Justice is not pursued, in the instance of criminal trials, only for the complainant who insists that his purported grievance be compensated with conviction and subsequent punishment against the accused person in a manner that the court deems just and proper, but also for the latter who is entitled to the fair advantage of presenting his line of defence to the absolute satisfaction of the court in his bid of acquittal. This cannot be done if uncontained emotion becomes the order of the day or existing bias against the perceived guilt of an individual has been assumed. The course for justice must be run without a whit of unnecessary emotional interference. A lawyer who finds himself deeply attached to his own emotion in the conduct of his statutory duty not only has a dangerous tendency of treacherously bamboozling the proper functioning of the profession but also of engaging himself in the false flattery and delusion of the very concept of justice without apposite regard to the rule of evidence and procedures required by the law. A lawyer must therefore accept the fact that it is an extremely important duty of his to stand before the court on behalf of not only his clients but also the inherent values of this profession he represents with absolute objectivity and rigour which can only be achieved if he strictly allows himself to act wholly within the bounds of propriety and courtesy in the discharge of his duty as an officer of the court. While emotional intelligence makes a lawyer a spectacular one, a constant urge to fall prey to emotion makes him the greatest enemy of what he is asked of in this noble profession – reason and logical deduction. Lest we forget, where else can either party go for justice than the footsteps of the court of law and not of the stage of theatrical performance.